Like you, your cargo van has to be able to multi-task and with the help of the right van organizer, it can. That’s because more than just simple transportation, your work vehicle is your number #1 investment and the most important piece of equipment you own. Having your van be able to do more than one thing is critical to the success of your business. Choosing the right van organizer will allow your vehicle to have multiple functions; mobile warehouse, workshop, and office. No matter what kind of trade you do or vehicle you own, van organizers will help you make the most of your van and all the tasks it has to do. 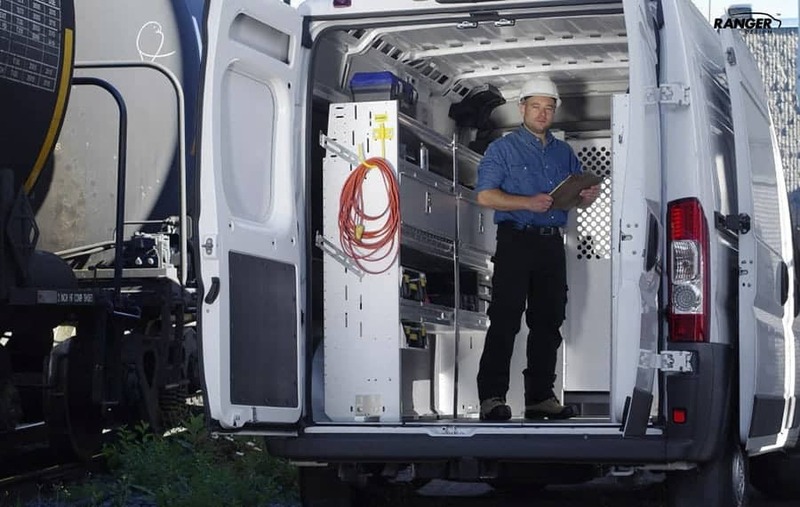 Take a look at the three most important types of van organizers that can help your van do more and maximize its cargo space. At Ranger Design we have van shelving systems that are unique in the industry. We combine the strength and rigidity of aluminum extrusions with a laminated (solid substrate) shelf base to give you a shelf tray that is strong, quiet and very durable. 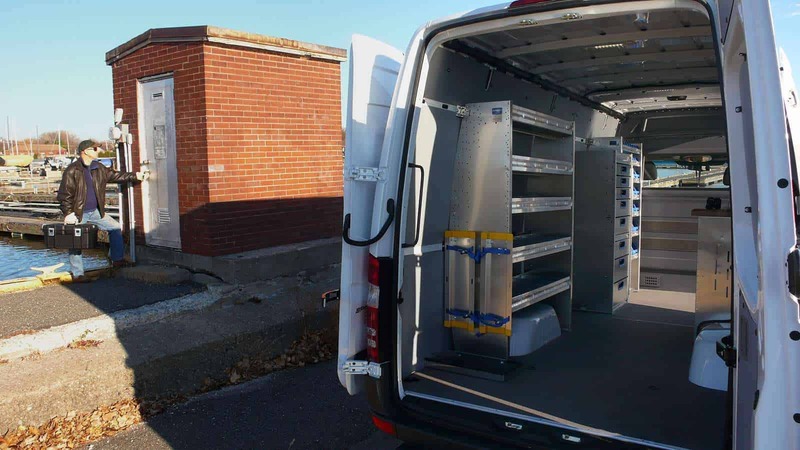 To maximize cargo space, we contour our van shelving systems to hug the walls of the van. This maximizes the floor space and increases the storage capacity of your van. All shelves are slotted to fit rattle free dividers that can allow you to custom fit all your necessary tools and equipment. For the ultimate in adaptability, check out our Fold-Away shelving. It has the ability to really transform your ordinary cargo van into a mutli-function work vehicle. One of the best van organizers you can invest in are van storage bins. They help keep all your parts easily accessible and in full view. Combined with Ranger Design shelves that are sloped back to avoid spillage, they are an effective way to easily upfit your cargo van. Modular storage bins have many uses to keep your small items and equipment well organized. They are perfect for: nuts and bolts, small parts, screws and nails. To easily take your small parts with you from your cargo van to the job site, we’ve developed PartsKeeper storage bins as an ideal way to keep small items organized, transportable and secure. Van Drawers are the best way to have easy access to many tools and equipment in your vehicle. They can help keep your van organized and reduce the physical strain of bending and crawling to retrieve items. We’ve built our drawers with heavy gauge aluminum to reduce weight and installed top quality components so that you can be sure that they won’t jam, sag or latch improperly. Our large capacity van and truck tool drawers feature strong welded construction, a tray that extends on 3 ball bearing rollers and a stainless steel locking paddle latch. 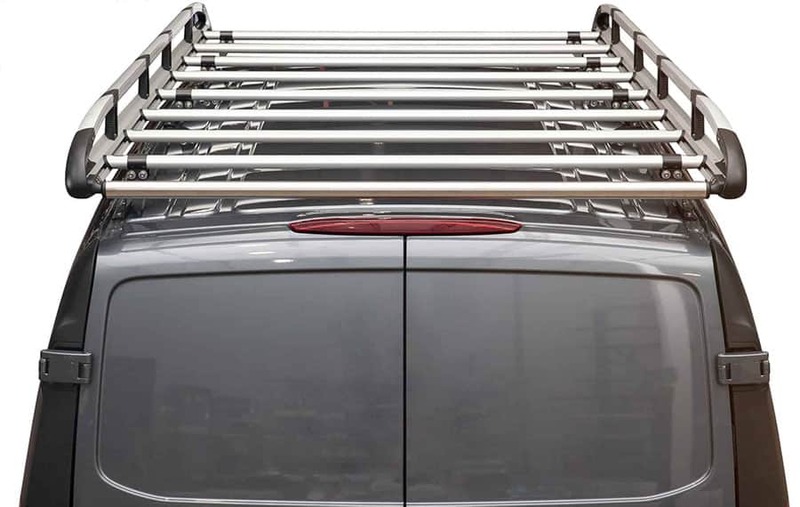 To add to their versatility, the van drawers may be installed for easy access through either the side or rear doors of the van. We’ve also designed the parts drawers so that they can stack directly on top of the tool drawer, saving you more space. 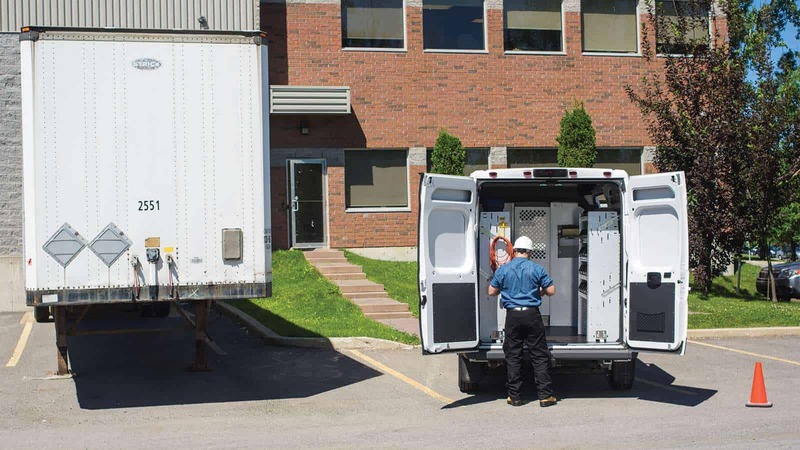 Why Choose a Ranger Design Van Organizer Over Others? Backed by an industry leading warranty, all our van organizer products will provide you with many years of solid, rattle-free operation. 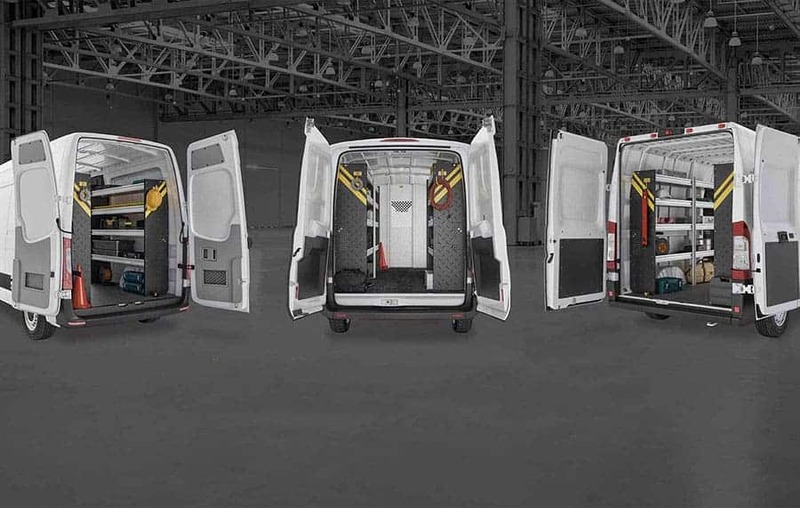 To make it easier for you, we’ve created trade specific packages for all of today’s most popular cargo vans to ensure you can be upfitted and ready for business as quick as possible. To help you find the van organizer you need, contact our customer service specialists: call (800) 565-5321, contact us or request a quote.